New Delhi: State-owned Oil and Natural Gas Corp (ONGC) plans to take up to 49% stake in one of the five proposed nuclear power plants of Nuclear Power Corp of India Ltd (NPCIL). “We are in discussions with NPCIL for incorporating a joint venture for setting up a nuclear power plant. NPCIL will have a minimum of 51% stake in the joint venture while ONGC would have a maximum of 49%," a company official said. NPCIL intends to set up five ‘Nuclear energy parks’ each with a total capacity of up to 10,000 MW at a single location. The sites identified for these energy parks are Kudankulam in Tamil Nadu, Jaitapur in Maharashtra, Mithi Virdi in Gujarat, Kowada in Andhra Pradesh and Haripur in West Bengal with imported reactors. Besides this, 700 MW indigenous PHWR (pressurized heavy water reactor) technology is planned for Kumharia in Haryana (2800 MW), Bargi in Madhya Pradesh (1400 MW) and Markandi in Orissa (6000 MW). “Some of the sites are under review in view of the local resistance to such projects. We are yet to freeze a location for the power plant," the official said. Nuclear power being highly capital intensive sector requires about ₹ 10 crore per megawatt (MW) and projects are generally financed in 70:30 debt-equity ratio. For a 2000 MW project, ONGC’s equity would come to ₹ 2,940 crore spread over 5-6 years. For its planned projects, NPCIL has already signed joint venture agreement with state power utility NTPC, oil refiner Indian Oil Corp (IOC) and aluminium manufacturer Nalco. 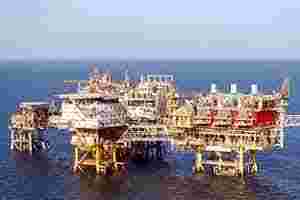 It is also in discussions with Bharat Petroleum (BPCL) and Steel Authority of India (SAIL). “With guarantee of fuel supply and proven technology, nuclear power will be India’s option for mitigating the twin problems of depleting oil resources world over with high oil prices and greenhouse gas emissions from fossil fuels. In contrast to wind or solar energy, the land footprint of nuclear plant is very small," the official said. Current tariffs for the nuclear power assure post tax return on equity at the rate of 14% even at normative plant load factor or capacity utilization of 68.5%. “There is further upside because average PLF for nuclear plants is 90%," he said.